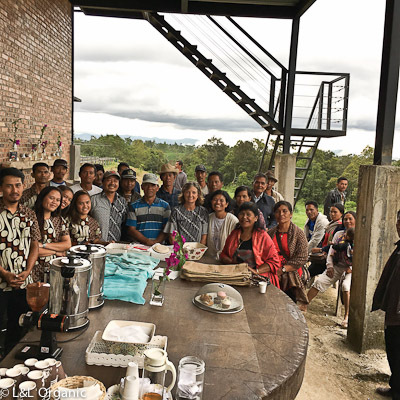 A small group of farmers clustered together near our home in Pematang Purba represent the coffees of Huta Raja Collective.What started as a single family farm adoption in early 2014, grew into a group of families and then the entire village. In 2019 we offer ®Nira Yeast fermentation to the double soak and full wash processes, it’s amazing! 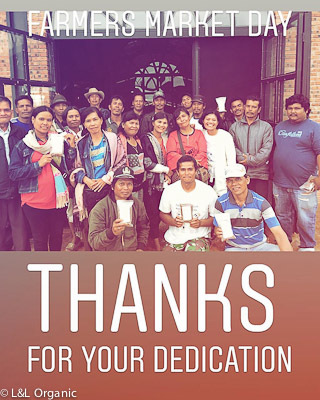 Our farmer group leaders, Ralen, Joel and Pardamuan continue to serve their community and the farm families who grow and supply cherry for L&LO. 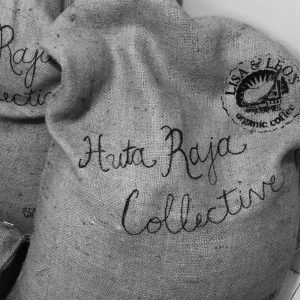 We appreciate the patience and support from our Roaster Partners, Thank You! Your partnership makes a difference. Selective harvesting followed by cherry selection before pulping. Single fermentation bath with our ®Nira Yeast overnight before fully washing the mucilage. Parchment is dried on raised beds outside and inside covered greenhouse for 3 weeks. Machine hulled and sorted for near 0 defect. Rested in Grainpro bags. Cupping notes: Complex; Caramel and brown sugar notes; Chocolate; Dark fruit; tangy acidity; medium body; juicy mouthfeel. Lingering sweet finish. Selective harvesting followed by cherry selection before pulping and parchment selection after pulping. A new Nira/Yeast fermentation results in a complex bouquet of fragrance and flavors. Two separate fermentation baths over 48-hour period; Parchment is soaked twice and mucilage is fully washed before drying on raised beds outside and inside covered greenhouses for 4 weeks. Machine hulled and sorted for near 0 defect. Rested in Grainpro bags. Cupping Notes: Complex. Clean. Toasted Almonds and Sweet Malt Whiskey & crisp apple upon cooling; mellow acidity; tea like body; Soft Rounded mouthfeel. Balanced. Selective harvesting, followed by further selection during drying process. Dried on raised beds outside and inside covered greenhouse for 6 weeks. Machine hulled and sorted followed by hand sorting for near 0 defect. Rested in Grainpro bags. Cupping notes: Complex and clean; Berry; Plum; brown sugar; honey; Juicy acidity; light body; Creamy mouthfeel. Long, sweet finish. Cupping notes: Bright, Sweet, Complex flavors of citrus, brown sugar, lemongrass, roasted nuts. Excellent espresso layer to heavier blends to create a cleaner yet more complex profile. Non Standard Grade 5 | Wet Hull or Dry Hull @45.000/kg Please check for availability. This work horse is ready for all your dark roast house blends. Notes: Sweet Tobacco and Dark Chocolate notes; Savory mouthfeel and Tomato like acidity.